All 10 of Montclair’s elementary and middle schools have ongoing Safe Routes to School programs and the city employs a part-time SRTS coordinator. During the 2012/2013 school year, every school hosted a SRTS workshop to develop travel plans. Attendees included students, parents, teachers, principals, the township engineer, and the head of the police department’s Traffic Bureau. Recent infrastructure improvements include school zone signage, crosswalks, and crosswalk signs. The Montclair Police Department’s well-staffed Traffic Bureau conducts four to six pedestrian decoy operations per year. Their operations are often covered by the media, which helps raise awareness and multiplies the impact of the operations. Many of these operations are treated as a warning campaign for motorists, but the township also does a good job of issuing and tracking citations for “failure to yield,” or parking on sidewalks or too close to crosswalks. To assist pedestrians near schools, the city employs 45 crossing guards and has an excellent crossing guard policy. The township and the Montclair Center Business Improvement District successfully applied for a grant to install wayfinding signage and three illuminated kiosks that will help point residents and visitors to points of interest and public transportation. Some signs will also include walking times to local attractions. Montclair has an excellent toolbox of traffic calming treatments, which are funded as part of routine street maintenance in Montclair. The township recently completed an impressive traffic calming project on its widest street. The 2012 redesign narrowed the street, widened sidewalks, bumped out curbs, added a mid-block crossing, and added zebra-style crosswalks. Pedestrian comfort was also improved by the installation of street furniture, pedestrian-scale lighting, landscaping, and street trees. 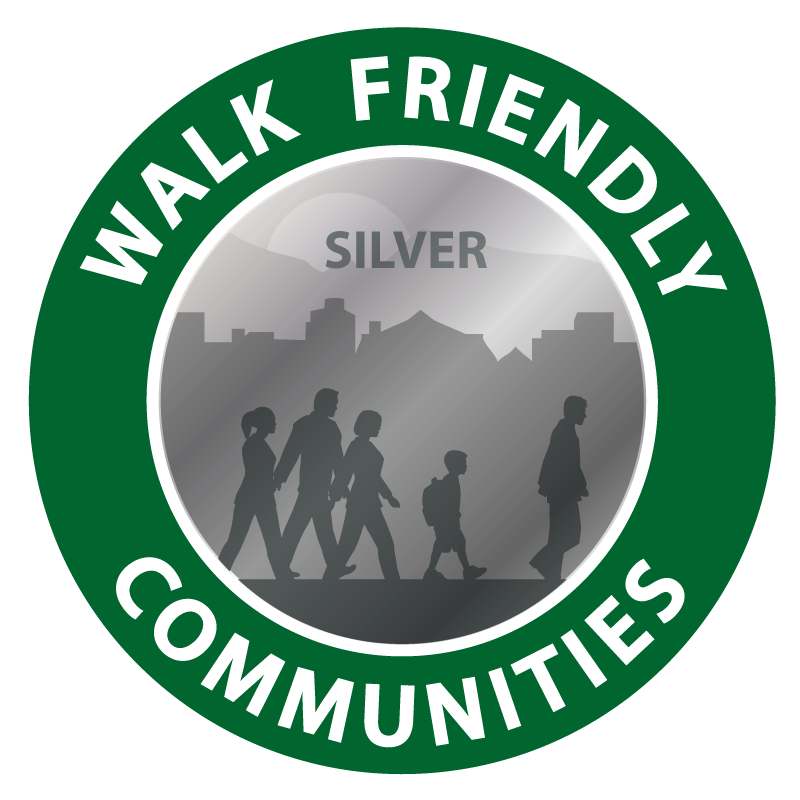 The walking mode share in Montclair is five percent; however, considering the township’s 25 percent mode share for transit, there are certainly many more people who include walking as part of their commute trips.